Its been a while since I've updated my blog. I've gotten pretty busy with school. The semester is almost over already. I've been very busy with all of things I have to do. But, through the hard times come the blessings. I have fallen in love. Last May I met a wonderful woman named Stacey. These last several months of my life have been the happiest I've ever had. She means the world to me. She brings out the best parts of me. And I love her so much. 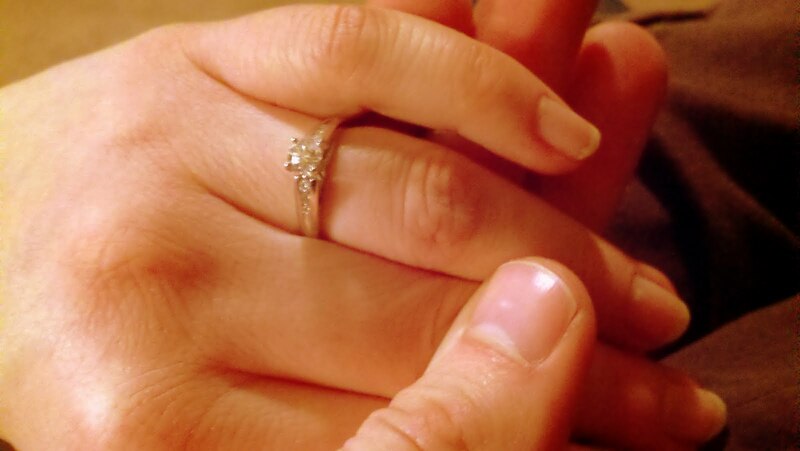 Last weekend, I asked my sweetheart to marry me. It was a wonderful day. I brought her a dozen roses, half red half white. Around lunch time, I drove her up to provo canyon, near to where we shared our first date together. We walked along a pathway that followed a small river. After a while, I found the spot where I would ask Stacey to marry me. There was a fallen tree right next to the riverside. We sat down together and began talking about our relationship. We expressed our love for each other(verbally hehe). When the time was right, I got down and asked her if she would be my wife. Right as she said yes, the sun came out from behind a cloud and silhouetted my princess. It was a perfect moment. We enjoyed a picnic lunch, minigolfing, and that evening, dinner at Olive Garden. I love Stacey more than anything in the whole world. I look forward to spending my life with her. I can't wait till the day that I can go with her to the temple and be sealed for time and all eternity. I hope that I can always make her as happy as she has made me.